Add the flour, baking powder, chili powder, smoked paprika, salt, pepper, sriracha and milk to a bowl. Stir until combined. Fold in the corn, avocado, cilantro, cotija cheese, jalapeno and onions. It should be the consistency of a very thick pancake batter. If needed, add a tablespoon more of milk to thin it out. Add oil to a large saucepan and heat over medium-high heat. When the oil is hot (325-375° F), add about 1-2 teaspoons of batter to the pan. Fry for 1-2 minutes or until golden brown. Remove with a slotted spoon and drain on a paper towel, then repeat with remaining batter. Serve warm with a side of sriracha mayo for dipping. To make your own sriracha mayo, combine 1/2 cup good quality mayo with 1-2 tablespoons sriracha. Mix until combined. These spicy fried guac bites? They’re pretty much the best things ever. No really—I mean, the name says it all. 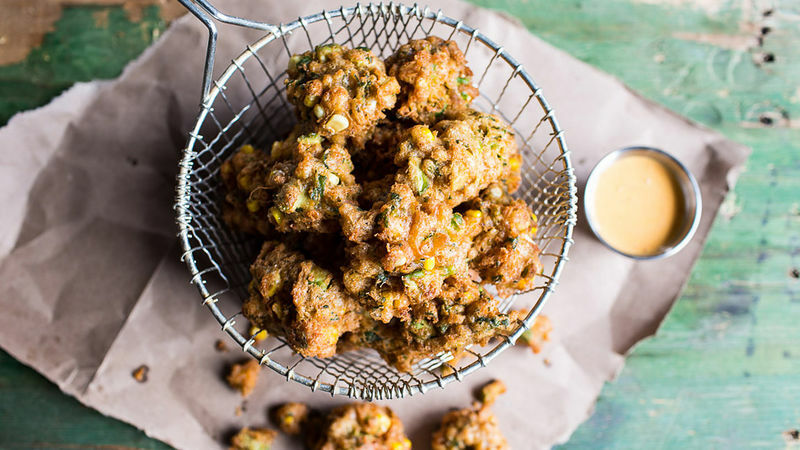 The only thing that could be better than guacamole is fried guacamole, and that’s basically what these little fritters are. 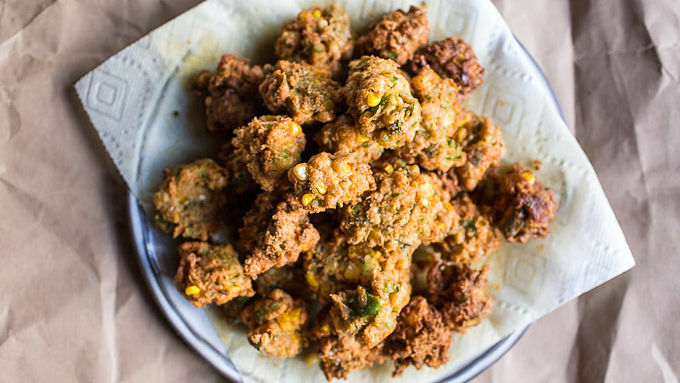 They’re sort of a mix between corn fritters, Mexican grilled corn and guacamole, which is clearly a winning combo. Here’s the deal: these bites are everything you could want them to be. 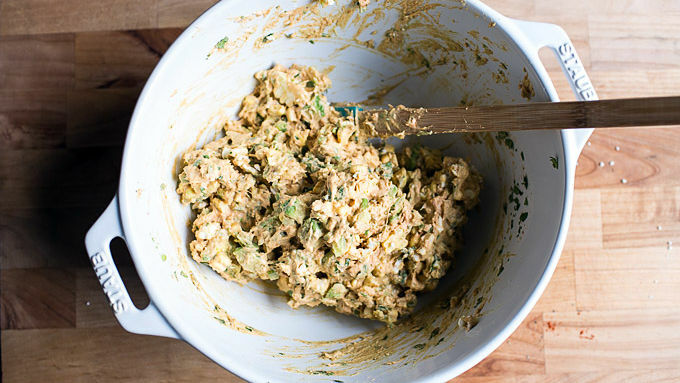 Spicy, crunchy, cheesy and just a little bit creamy from the bits of avocado. I promise, these will be your new go-to summer appetizer. Major bonus points: They’re are also quick and easy to whip up. You pretty much just mix everything together in one bowl, heat some oil, fry and eat! I like to serve mine with spicy sriracha mayo for dipping, but honestly, these are 100% delicious on their own.